Hello to all Sizzix fans! It's time for another fun project. This week I had a lot of fun with the 3D frame designed by Eileen Hull. 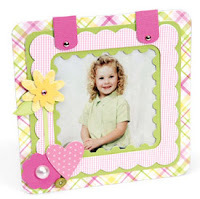 The frame has 3 square parts, a frame back and a stand. It also comes with a small set of flowers and heart embellishments. This is the sample on the Sizzix website. When I saw all the goodies I immediately thought why put all the frames together on top of one another? There must be a way to design each frame and show all of them. Then I remembered Hanukkah is just around the corner and I don't have a gift for my mom yet. I love it when I have these thoughts in my head and suddenly they all combine to one great idea! My mom has 4 grandchildren and I have 4 frames…do you see where I'm going with this? I designed each frame separately and then attached them to each other with the small hinges that were part of the kit we got. I love that the frames are in different sizes and each frame has its own personality, but together they make a little "family". Don't forget to leave me a comment and tell me what you think! 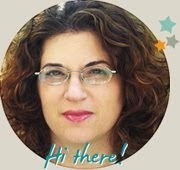 Einat - Love your standing frame! love the colors and papers! so pretty and heart warming! 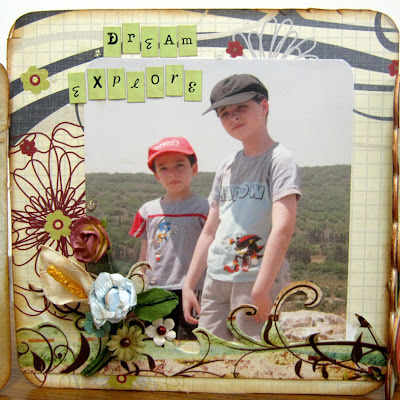 Einat, this is a fabulous idea, and I love your design style! Looking forward you meeting you in person in LA! Einat, this is just stunning! Love, love, love it! 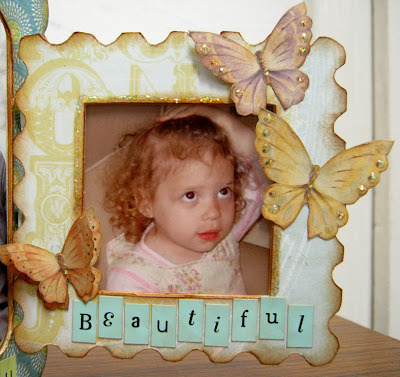 What a beautiful gift for your mom! Awesome! Wow! This is really gorgeous and a great take on the die. Love it! 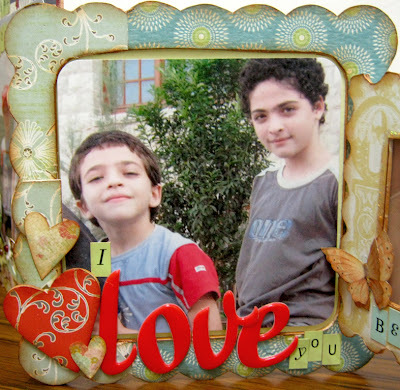 You created a really beautiful projects - I love it with the design and the way you hinged the frames together. הכל מקסים אבל במיוחד אהבתי את עיצוב הדף עם תמונת הילדה עם הידיים המלוכלכות..
Love the colors and touches of nature you included - great work! 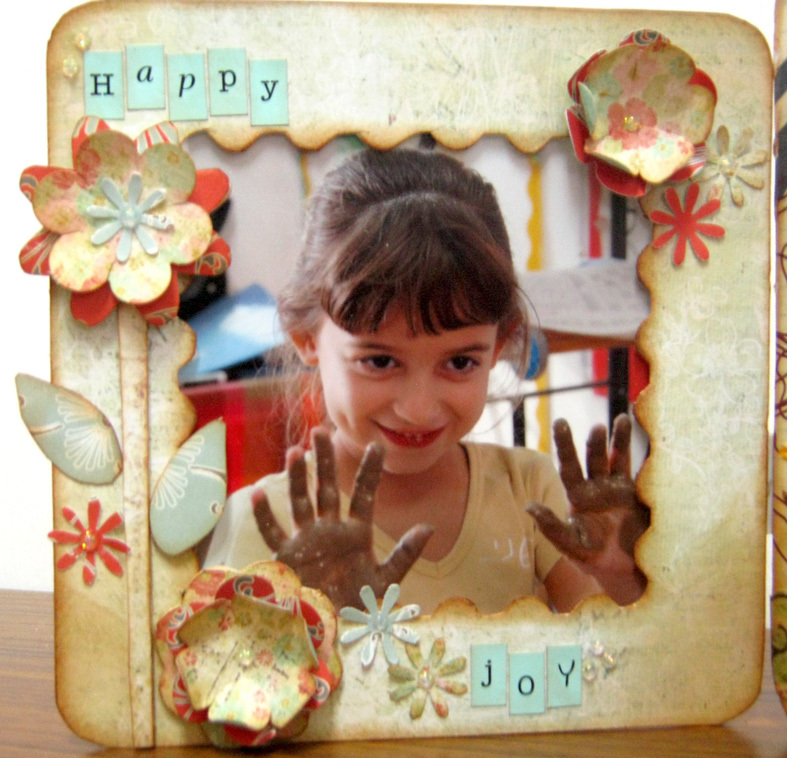 I so very much love your idea Einat, your configuration of the frames is just great. I agree - great minds think alike! Einat, I love your refined style. Every week I anticpate your projects for thier orininality and technique. I find myself enlarging the pics to closely examine how you did it. Thanks for the eye candy and inspiration! I love what you did with this die. Pretty and clever! I love how you put this together! What a stunning piece! Genius! 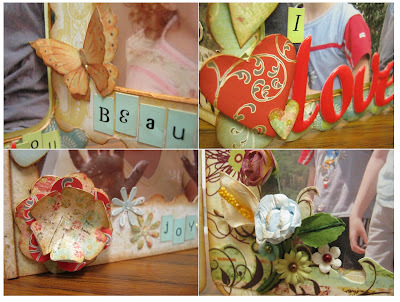 Love, love, love how you've created something totally new from the frame pieces!